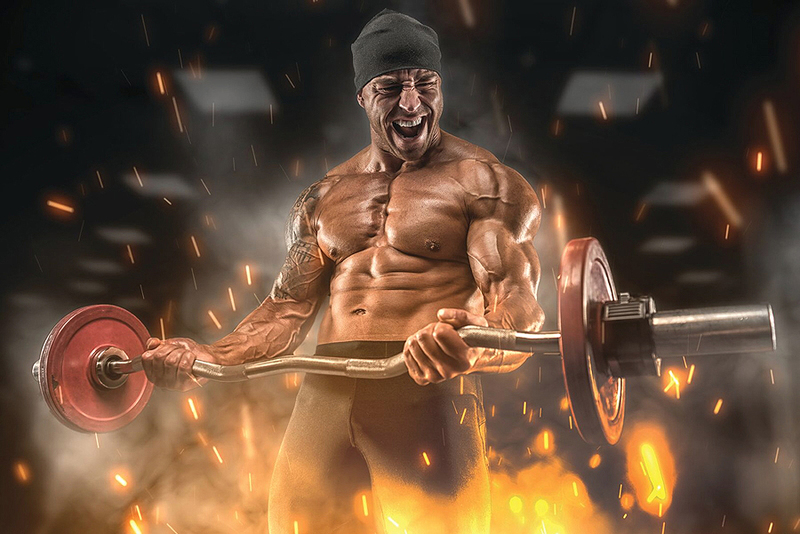 How Do Pros Train to Get Awesome Biceps? Q: What do the pros do to give themselves their awesome biceps shapes? A: Biceps shape is genetically determined. If you closely compare a single- or double-biceps pose among lean bodybuilders, you’ll see variation in shapes and size. A person’s biceps shape isn’t necessarily the same for both arms. If you check out photos of Arnold in his prime, for example, you’ll see that one of his biceps had a greater peak than the other. No training could change that for him, just as it can’t change the shape of any of your muscles. Training changes the size of muscles, not their shape. By greatly increasing size, you may make it appear that the shape changes, but that’s just an illusion, especially if there’s also a reduction in bodyfat. Check out inner-pec lines on lean bodybuilders, and you’ll sometimes see that the shape of one pec is different from the other. It’s the same with facial features. It’s normal for one ear to be a slightly different shape and size, a nose that’s not perfectly symmetrical or a mouth that’s somewhat asymmetrical. Train sensibly and appropriately to develop whatever size potential you have, but you have to live with the muscle shape that your DNA has determined. Also remember that if you want substantially bigger biceps, you need to build a substantially bigger physique overall; and that’s where hard work on squats, deadlifts, chinups and benches (or comparable exercises) is required. Editor’s note: Stuart McRobert’s first byline in IRON MAN appeared in 1981. He’s the author of the new 638-page opus on bodybuilding Build Muscle, Lose Fat, Look Great, available from Home Gym Warehouse (800) 447-0008 or www.Home-Gym.com.